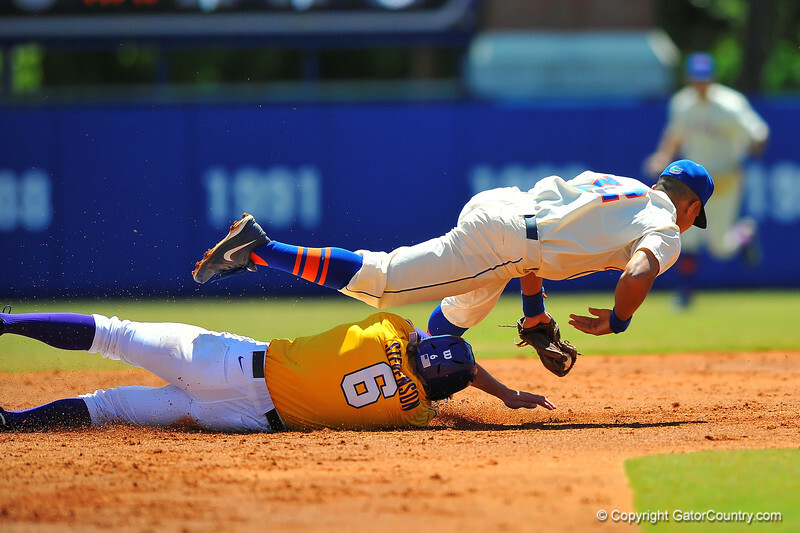 LSU OF Andrew Stephenson slides into Florida SS Richie Martin trying to break up the play in which Martin held on to the ball for the out. Florida Gators vs LSU Tigers. March 30th, 2014. Gator Country photo by David Bowie.